At the turn of the new year, there tends to be a resurgence in the interests of health and wellness. Gym memberships soar, early morning footpath traffic increases as people take up jogging, and sales of health and fitness products hit 12-month highs. The over-indulgence from the holiday period simply leaves many of us feeling sluggish and with the dawn of New Year, the opportunity to turn over a new leaf as such emerges. New Year, new you, right? While January can be a ‘practice month’ for many, filled with setting goals and re-adjustmenting, February becomes a time to action. Allow us to explore the 5 key trends many of us are adopting for that new start you’re looking for. Allow us to explore the 5 key trends many of us are set to adopt this year. More and more people are keen on reducing their meat intake, and this has seen a sharp increase in those actively seeking out meat-free foods. This year will see an increase in the trend of ‘faux foods’, where vegetable or plant-based ingredients are used to create ‘meat-like’ products. There are even ‘bloody burgers’ on the market which smell, taste and look like beef mince burgers but are actually made from meat-free ingredients. These kinds of options will even become a regular feature on restaurant menus this year. Getting away on holiday has long been one of the best ways to destress, and now consumers want even more. People don’t just want to get away for sun and fun any longer – there is a significant demand for health and wellness holidays. Hospitality providers that are better positioning themselves to attract today’s growing audience of health-minded consumers are set to win big in 2017. 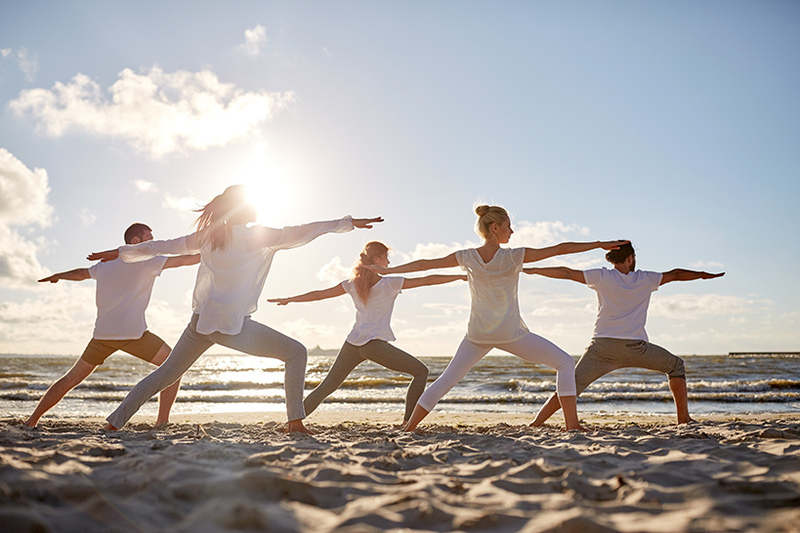 This goes far beyond offering spa and wellness activities and treatments – it involves incorporating fitness adventures, leisure options and expert wellness programs into offerings by hotels, cruises and tours. Expect a significant increase in people actively seeking and heading away for dedicated wellness-based retreats and holiday breaks in 2017. Unlike a detox program that people very quickly lose interest in by the end of January, adopting fermented foods into your daily diet is quite a lifestyle change. Fermented food preparation programs and demos are popping up everywhere, and it’s expected that sales of locally-sourced food and ingredients will significantly increase as consumers are interested in knowing exactly where their food comes from. People are also increasingly aware of how their diet impacts their digestive health, and adopting fermented foods can have excellent probiotic effects. For a long time, there’s been a strong focus on macronutrient and vitamin supplementation and strong, effective promotion about the need to prevent nutrient vitamin deficiency. On the kitchen counter of every home there are bound to be some vitamin supplements which are taken daily to ensure nutritional balance. Our mineral intake, on the other hand, has always been largely neglected, but as consumers become more educated about the importance and benefits of mineral intake in maintaining key health functions, we can expect they will put much more of a focus on increasing their mineral intake via diet changes and mineral supplementation in 2017. Not only will consumers be adopting fermented foods and mineral supplements in a bid to enjoy probiotic benefits for their digestive health, they will also be seeking to use probiotics to benefit the health of their skin too. There’s a growing emphasis and understanding about the importance of maintaining a balanced skin microbiome. This will undoubtedly result in a lot more milk- and gel-based products and heating and cooling activated products. Probiotics offer significant advantages in tackling skin conditions such as eczema, dermatitis, acne, scars and burns. They also help to rejuvenate the appearance of the skin, restoring a more refreshed and youthful appearance. Using probiotics for skin health has been a growing trend for a couple of years, and is set to rise further to prominence this year. Meat free foods and ‘almost vegans’, caring for our guts like never before, seeking out wellness and fitness orientated breaks away, management of mineral intake and probiotic treatment both inside and out – 2017 is set to be full of some very interesting health, wellness and fitness trends. How many of these trends will make it through to 2018? We guess time will tell! As a Certified Personal Trainer & Fitness Instructor, Sophie is the true definition of a fitness fanatic and avid gym-goer. She is passionate about everything that comes hand in hand with leading a healthy lifestyle, from nutrition and fitness to mental wellbeing. With a love of promoting a healthy and active lifestyle to others, Sophie now works as part of the spa.com.au team, supporting the participating Health & Fitness providers across Australia.